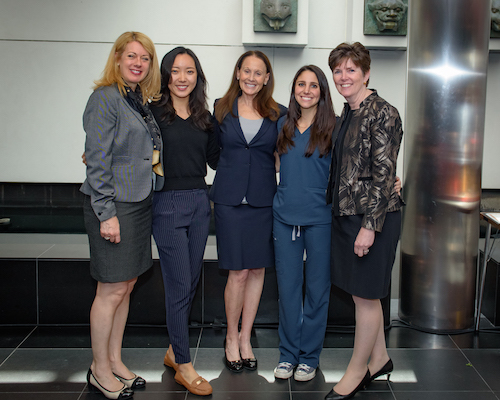 Stony Brook School of Dental Medicine's Jenna Chimon, DDS, Class of 2018, and Erin Wang, Class of 2019, were chosen as first and third respectively in the nationwide Dentsply Sirona Restorative Global Clinical Case Contest for their aesthetic case presentations. June 2018 - The Dentsply Sirona Restorative Global Clinical Case Contest (GCCC), established in 2014, has quickly gained momentum, garnering 592 entries from 169 universities in 2016-2017 alone. Dental students with less than two-years of clinical experience are invited to participate by documenting an aesthetic patient case study. 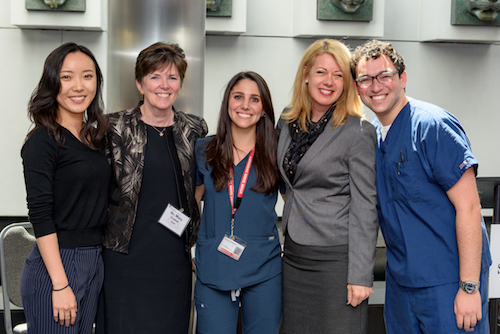 For Stony Brook School of Dental Medicine (SDM), a submission for national consideration required one extra step: an internal competition among peers. With 15 talented and determined students, SDM well-surpassed the limit of three entries per school set by Dentsply Sirona. In response, a thorough grading rubric and panel of faculty judges was set into place, led by SDM's Associate Dean for Clinical Education, Ann Nasti, DMD. "We were thrilled that so many of our talented students were interested in the Dentsply Sirona contest. As a team, our goal was to select the three entries that the panel of judges believed would meet the qualifications for a U.S. 1st, 2nd or 3rd place winner,” said Dr. Nasti. SDM’s internal selection process brought success: two of the top three national rankings were secured by Stony Brook students. Erin Wang, a Year III student, placed third for her clinical case, and Dr. Jenna Chimon, a recent graduate, placed first. Both Ms. Wang and Dr. Chimon were mentored by Dr. Christine Valestrand, Clinical Assistant Professor, Department of Prosthodontics and Digital Technology. Dr. Chimon's placement as first nationally brought her to the official global competition on June 28th in Konstanz, Germany, where she competed against representatives from 38 other countries. "It was an amazing opportunity to go there and present my case, and to see the work of other students around the world," said Dr. Chimon. 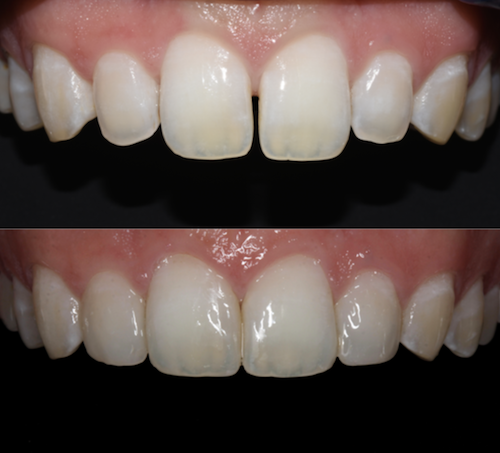 Dr. Chimon's winning case was the closing of anterior diastemas, which she performed for her classmate, Michael Winter, DDS. "It was a higher level of pressure to perform aesthetic work on someone who is doing the same type of work as you are," said Dr. Chimon. "It's also exciting to see the results on a regular basis." 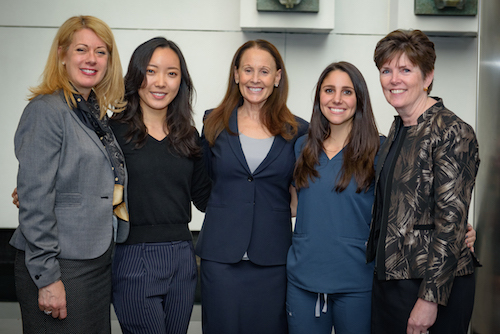 The outcome of the national competition was announced as a surprise during SDM's annual Leo and Mickey Sreebny Lectureship and Research Symposium by Dentsply Sirona's Ms. Melissa Marlin. "I was so excited when they announced it," said Dr. Chimon. Dr. Chimon will be entering her residency in general practice at Kings County Hospital in Brooklyn, and Ms. Wang will be entering her final year at SDM this summer.